↑ Lee, Stan (2005-04-18). 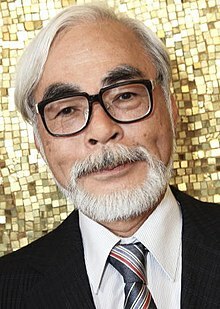 "The 2005 TIME 100: Hayao Miyazaki". Time. สืบค้นเมื่อ 2009-07-15. ↑ , 30th of November, A NEPPU INTERVIEW WITH MIYAZAKI HAYAO. Cavallaro, Dani (2006). The Animé Art of Hayao Miyazaki. Jefferson, NC: McFarland & Company, Inc. ISBN 978-0786423699. OCLC 62430842. 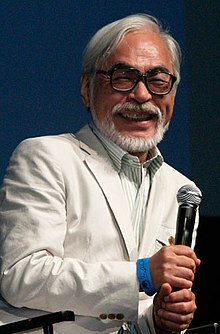 Miyazaki, Hayao (2009). Starting Point: 1979–1996. Beth Cary and Frederik L. Schodt, trans. Foreword by John Lasseter. San Francisco: VIZ Media. ISBN 9781421505947. OCLC 290477195. Miyazaki, Hayao (1996). (ญี่ปุ่น: Shuppatsuten, 1979–1996 โรมาจิ: 出発点—1979~1996) . Tokyo: Studio Ghibli, Inc./Hatsubai Tokuma Shoten. ISBN 978-4198605414. OCLC 37636025. Original Japanese edition. Odell, Colin, & Le Blanc, Michelle (2009). Studio Ghibli: The Films of Hayao Miyazaki and Isao Takahata. Harpenden, Hertfordshire, England: Kamera. ISBN 9781842432792. OCLC 299246656. หน้านี้แก้ไขล่าสุดเมื่อวันที่ 10 ธันวาคม 2561 เวลา 13:57 น.